Basking in the Glory of Reaching the Top ~ Finally! In hindsight, maybe this was all in preparation for the bad weather we were to face on Aconcagua. As some of you who have been following me for a while now know, each time we headed out to Devil’s Peak the wind would howl ensuring that the peak was covered in cloud making attempts to reach the top unsafe and each of the three times we got close but the weather turning us back before the top was reached. Howling winds that literally knocked us off our feet and thick misty clouds that would disorientate even the most seasoned hiker. Finally, Saturday was different. Even thought strong South Easter winds were predicted and temperatures in the 30’s, we had arranged to start hiking at 6am in an attempt to beat the wind and the heat of the summer’s day. This past week I had been watching the mountain each day as I drove to work, most mornings covered in the famous Devil’s Peak cloud. I wasn’t feeling too hopeful about our next attempt but much to my delight Saturday morning dawned with a beautiful stillness and a dark blue sky with not a cloud in sight as dawn began to break. We were in luck! As we set out on the mountain slopes the sky was growing lighter and the sun, still hidden, began to paint the sky with wisps of pink and orange. We couldn’t have picked a more perfect day and without a doubt it looked like our fourth attempt to make it to the top, would finally prove fruitful. 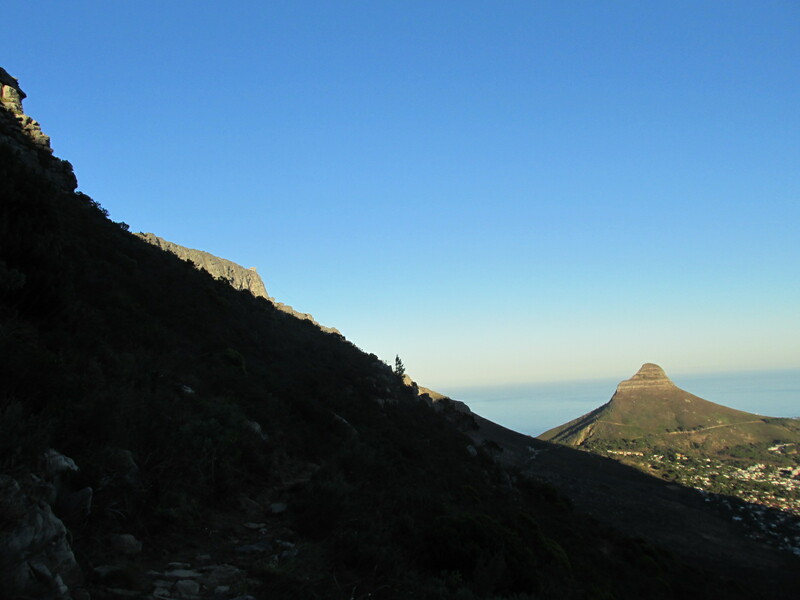 The air was already hot as we set out and with not even a breeze blowing around Table Mountain’s slopes, the climb up was hot. It was the first time my friend and Aconcagua tent mate, Judi and I saw each other since our climb and so we walked the slopes catching up, reminiscing over our Ac journey and of course talking about our next high altitude mountain! The sun, as it rose, began to paint the sky in shades of pink and orange. On route to the top! A quick photo stop along the way, taking in the beautiful view! It felt good to be back in my hiking boots and walking on the slopes of our magnificent mountain again. 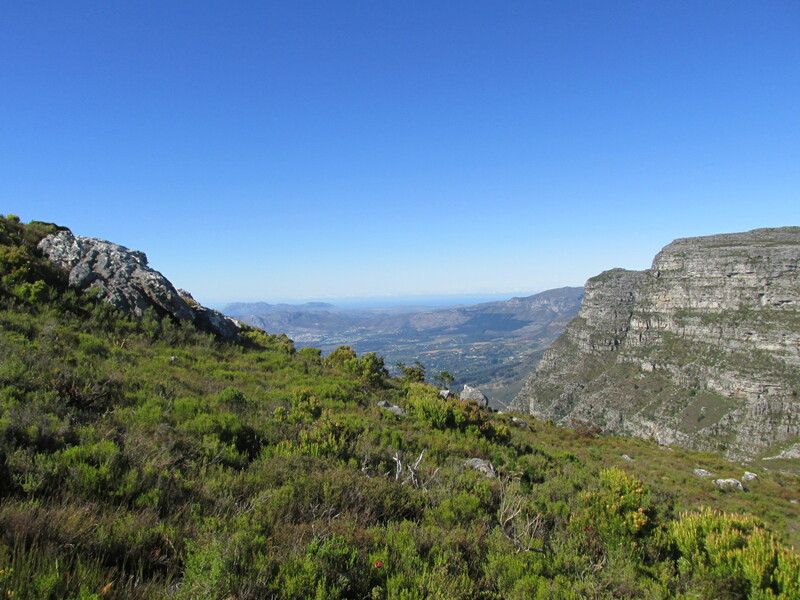 The proteas were starting to bloom again and the fresh smell of the mountain feinbos (vegetation) filled my every sense and as the view unfolded before us, my eyes danced with delight as we climbed higher. My mountain never disappoints! Hiking in the shadow of the mountain, the sun began to slowly make her way over the mountain. 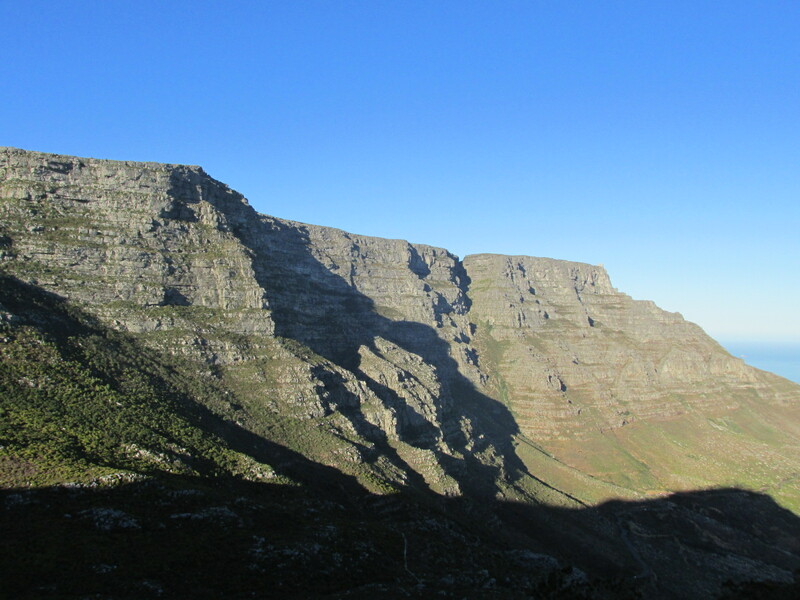 We had walked up and across and now looking back over Table Mountain, she was bathed in the early morning sunshine. 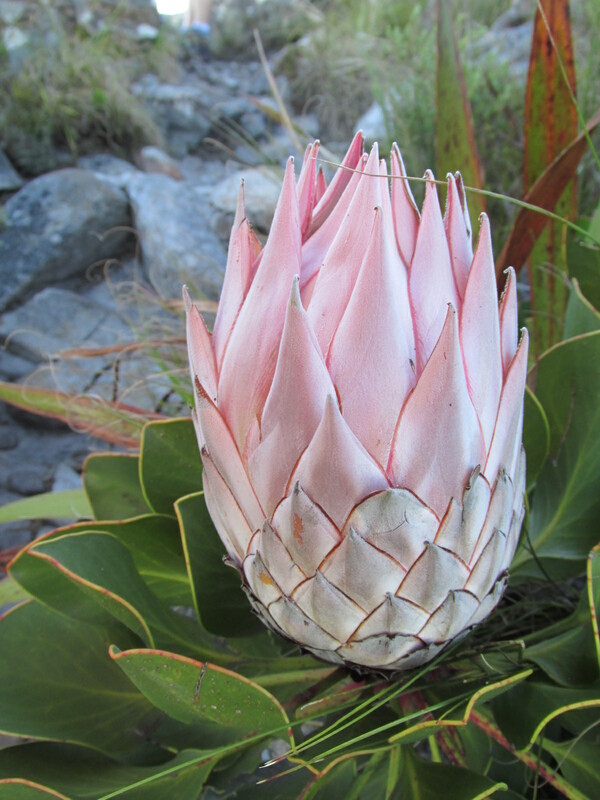 Beautiful proteas are blooming all over the mountain side. 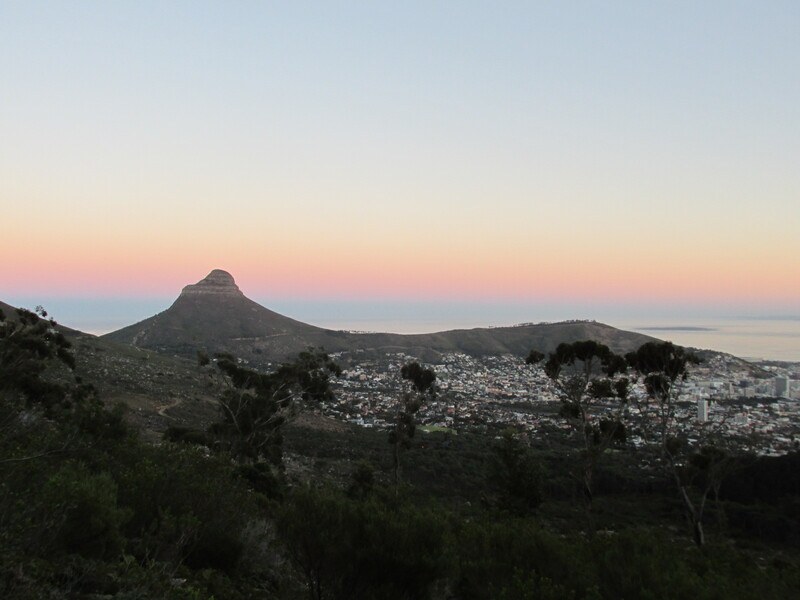 As we had set out early to avoid the heat (and wind and cloud) we were lucky enough to hike all the way to the top in the shadow of the mountain as the sun began to rise. 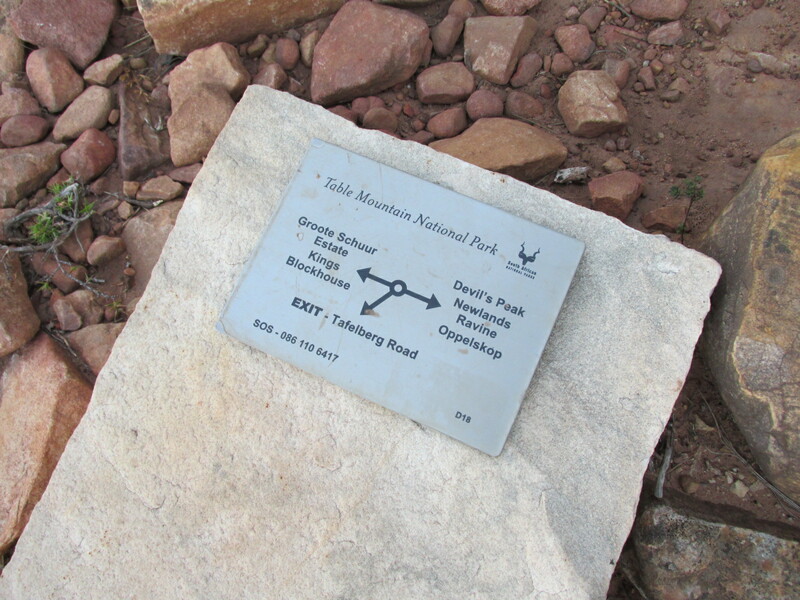 Before we knew, we had reached the saddle and we had the final push to the peak. As we took the final steps to the top the sun made an appearance over the edge, bathing us in the days early morning sun. 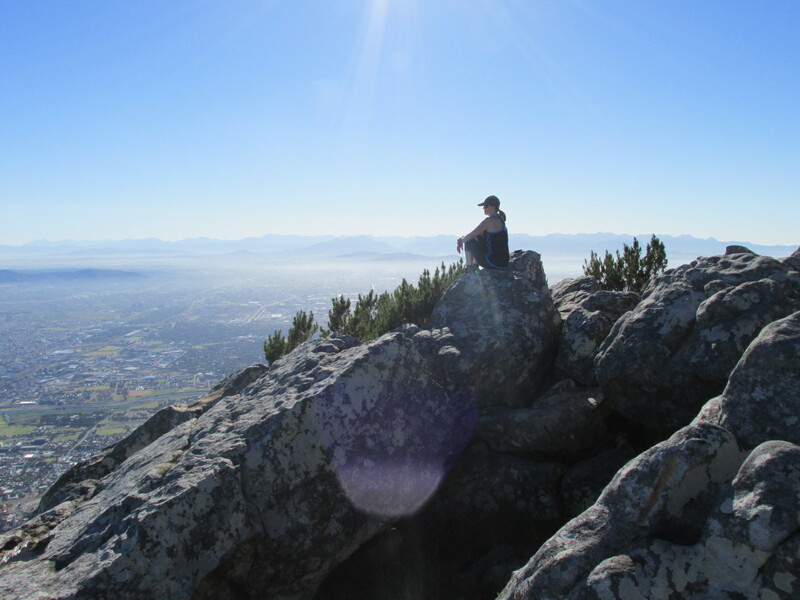 Except for one other small group, the top was empty and we found ourselves spread out on a flat rock where we enjoyed an early brunch while overlooking the 360ᴼ view of Cape Town. The sea was flat and Robben Island was clear in the distance as was the Milnerton Lagoon, the Melkbos sand dunes, the view over the False Bay coast and the mountain ranges off to the East. At times I just turned and turned and turned just taking it all in. 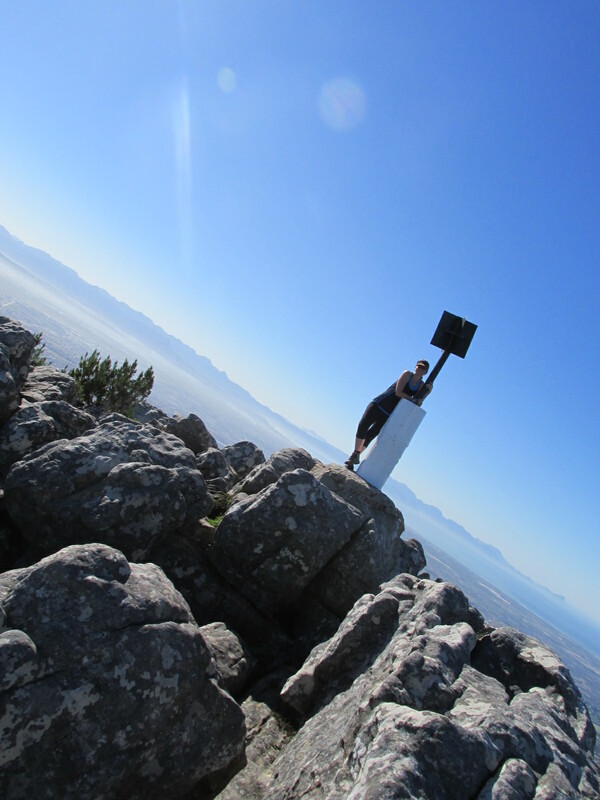 Finally we had reached the top of Devil’s Peak and beaten the devil and Jan van Hunks at their own game! It felt really good as with all our failed attempts it was now ages since I had last been on top. 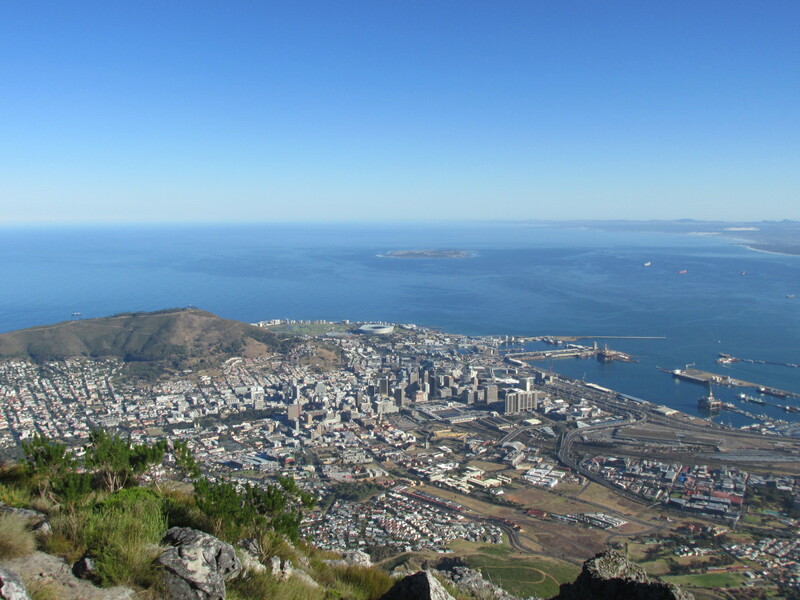 Views of Robben Island, Signal Hill, the Mother City and Cape Town Harbour. Me, sitting taking in the gorgeous view. Find your passion, then live it! Blessed am I. 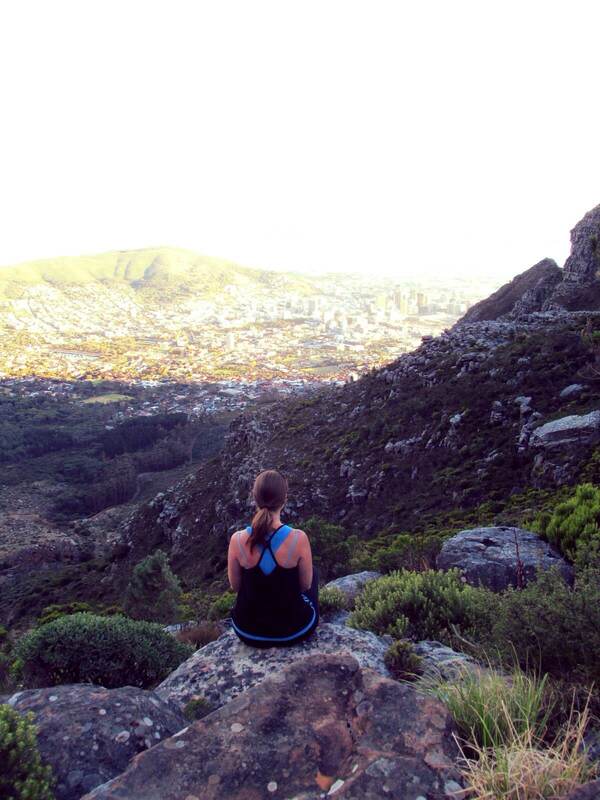 Happy as can be, finally standing on top of Devil’s Peak again on the most perfect Cape Town day! We spent over an hour on top taking in the views of our beautiful city before we headed back down again. It was only mid-morning by the time we got off the mountain, with the whole day still ahead of us. Making our way back down again, the views continued to delight our eyes. My senses awake, my soul full ~ what could be a better way to start your day! It is true what they say, no matter how sophisticated you may be, a large granite mountain cannot be denied ~ it speaks in silence to the very core of your being. Previous The Perfect Band-Aid for a Bad Day Next Hold On To Your Hats!